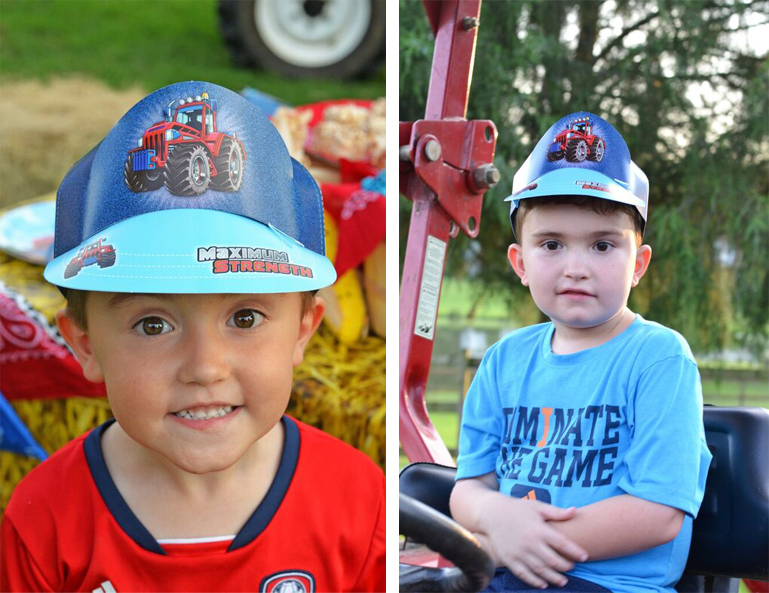 Do you have a tractor fan in your family? I know my boys love any kind of big truck or farm equipment! 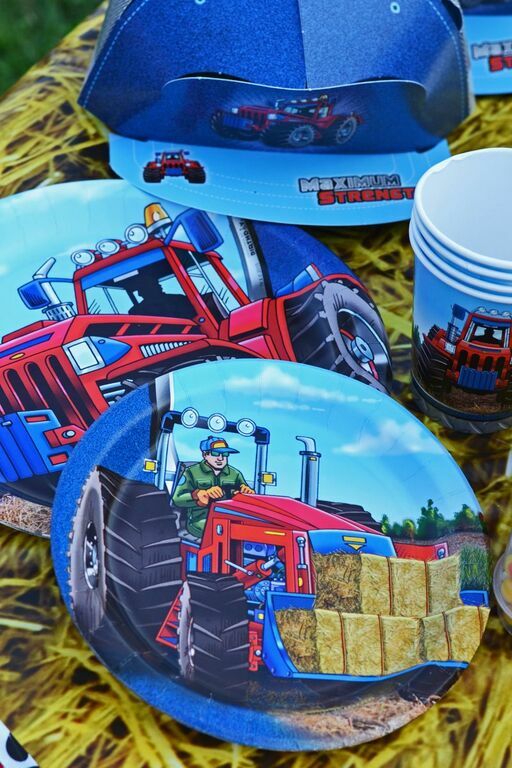 Click here to see a different Farm Tractor party design from the team at BirthdayExpress! 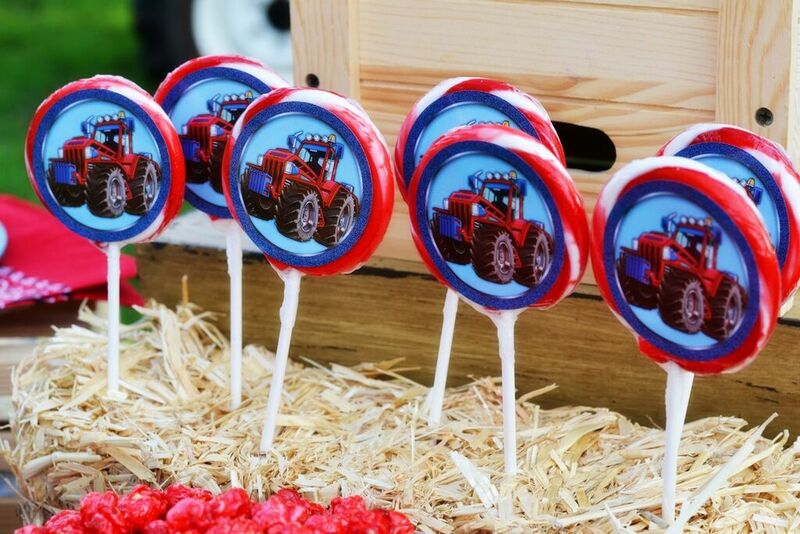 Today I am going to show you how to create your very own tractor party, using this brand new, exclusive party collection from Birthday Express! 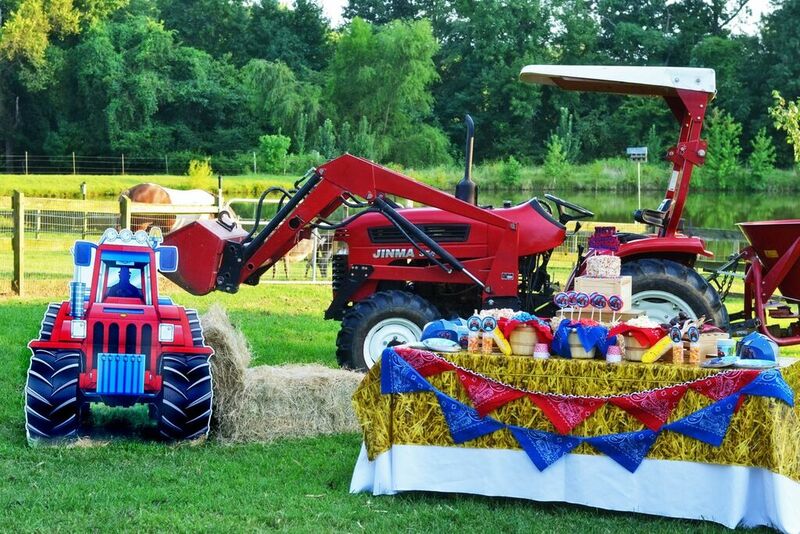 We’ve all seen the green and yellow tractor parties out there, but this collection puts a different spin on it by using a big RED tractor! When I was a little girl, in Arkansas, my grandfather always had a red tractor and I loved riding on it! 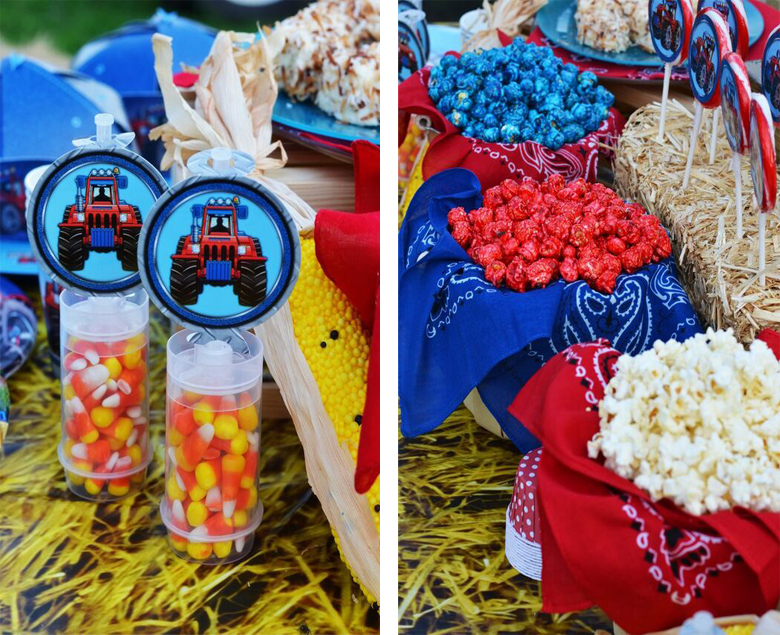 So, I took inspiration from the country for this party, using some classic items that you can pick up any craft store to make your very own super-cute tractor party! 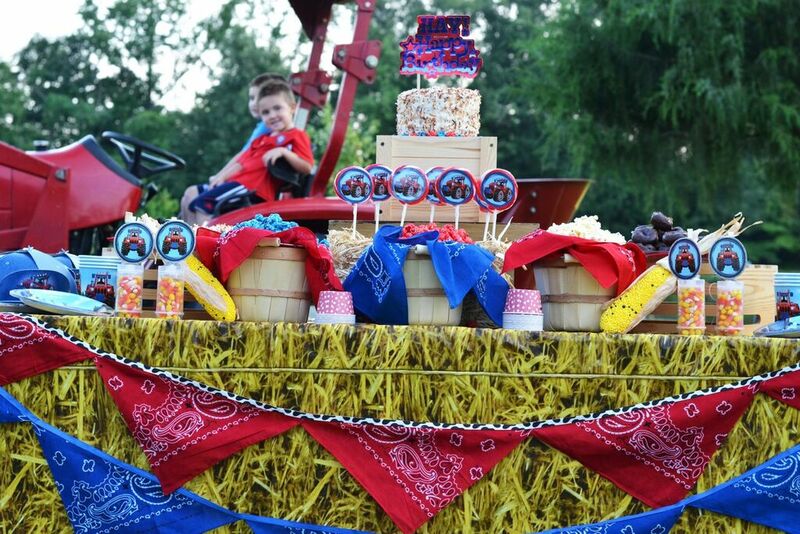 I started my party design by focusing on hay bales! 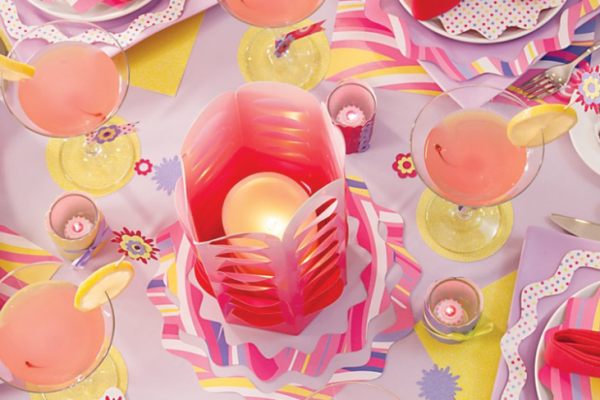 As you can see in the partyware, hay is featured in the design. So, I used this plastic hay patterned tablecloth over a simple white linen. Then, I made these simple handkerchief buntings by cutting large handkerchiefs into triangles and then hot-gluing them onto ribbon. I did one in blue and one in red to bring in the color palette of the party. Then, I pinned them onto the front of the table. 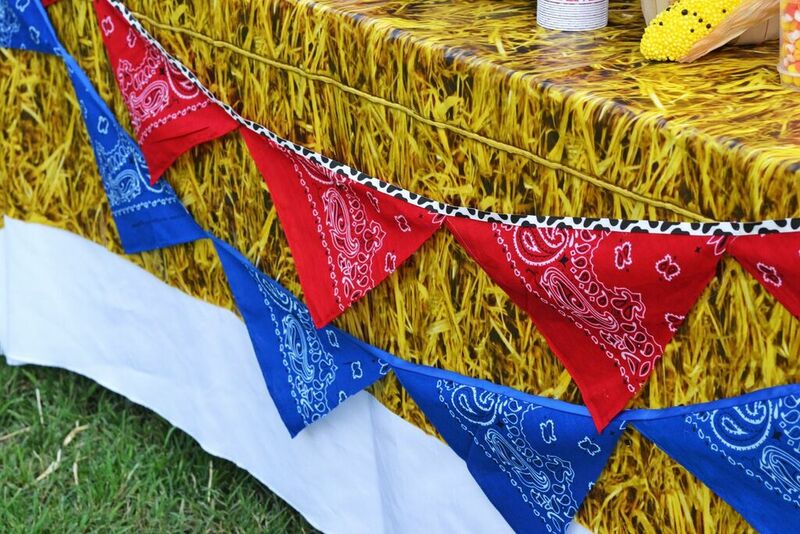 For the party table, I used a lot of raw wood boxes, baskets, and crates to give it a farm feel. I added a big bale of hay, which you can pick up at most craft stores this time of year, to hold the lollipops. 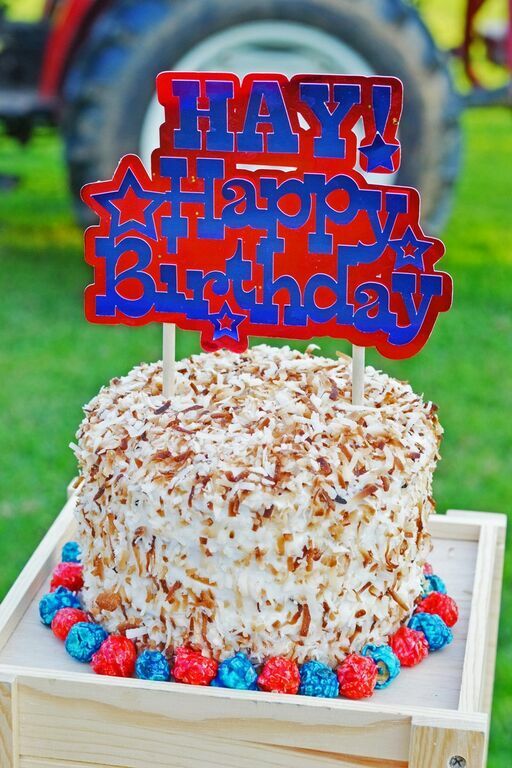 The cake is a simple white cake that I made from a box, and I added toasted coconut to make it look like hay! 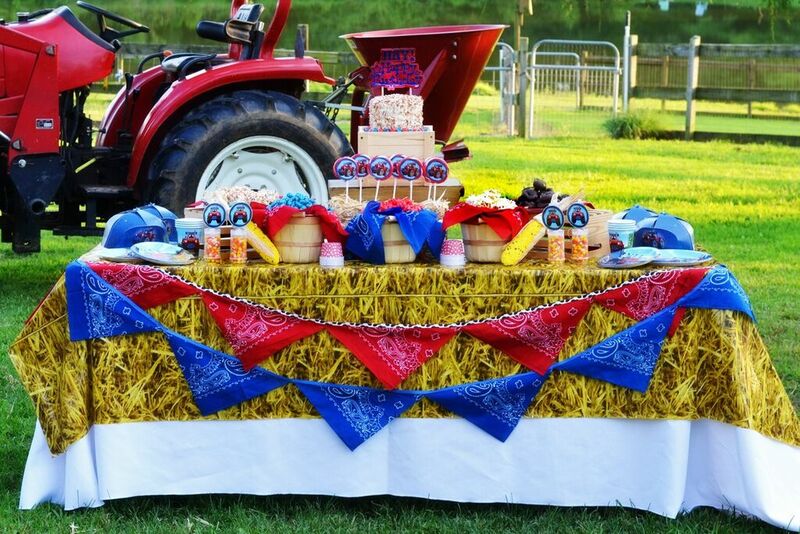 For the party food, I used one of my very favorite party foods — pound cake hay bales! 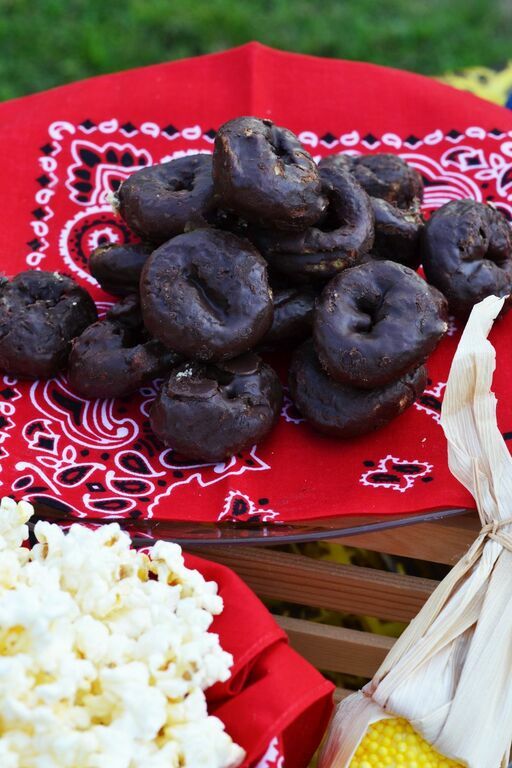 I have used this cute little recipe at several parties, including pony parties and even a Three Little Pigs party. This recipe could not be easier! All you do is buy a frozen pound cake and cut it into rectangles. 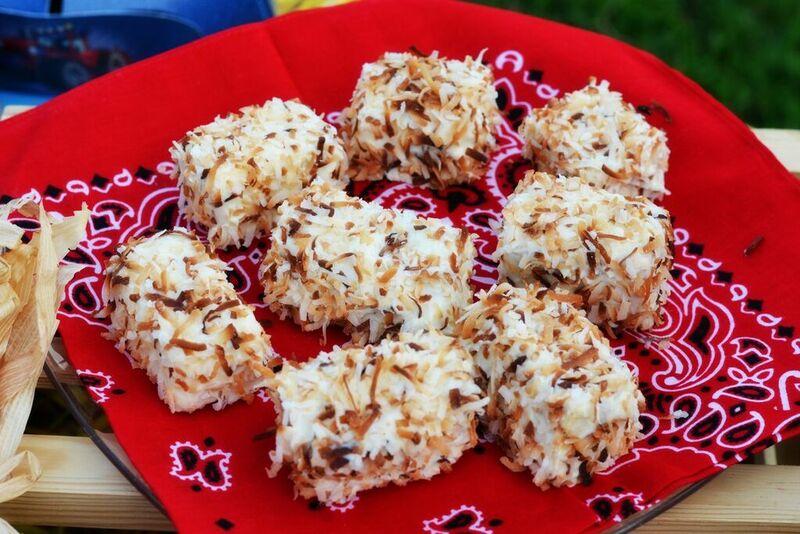 Then, you dip the pieces in white melting chocolate and sprinkle each one with toasted coconut and let them dry. They are delicious! Since there are corn stalks featured prominently in this tableware, I had to throw in a few corn items. I put candy corn in push pops and then added the little tags from the party blow-outs to the tops of the sticks. Then, I did a cute popcorn bar in these little apple baskets. I lined each basket with a blue or red handkerchief. 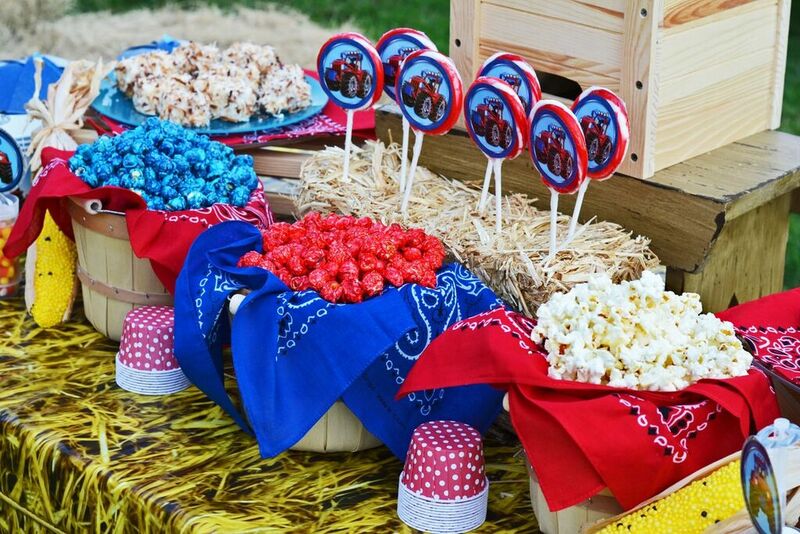 Guests had their choice of blueberry, cherry, or plain popcorn. I used these little red cups for serving. One of my favorite parts of this collection is the adorable party hats! 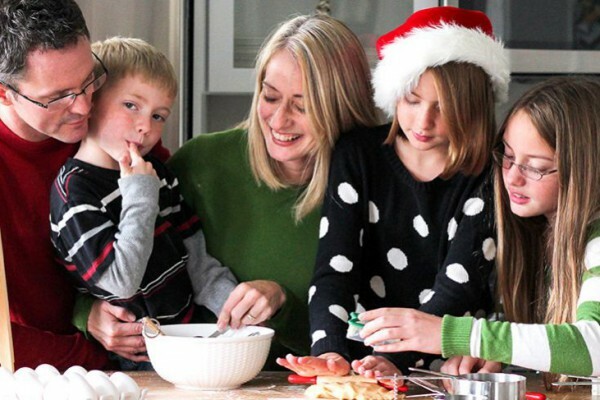 Instead of the typical party hat, they have these adorable trucker hats! As you can see, the boys loved them too! How great is this giant tractor stand-up? 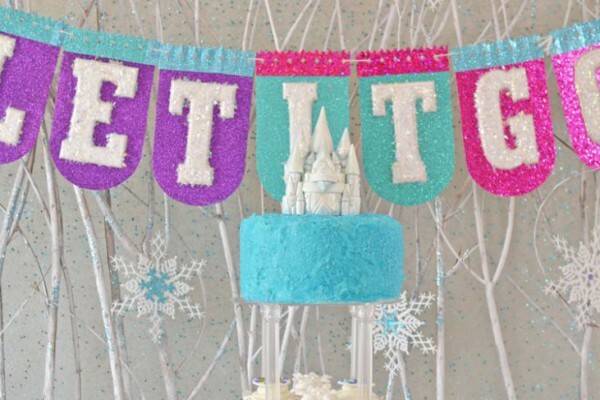 It really brings a cute focal point to your party. 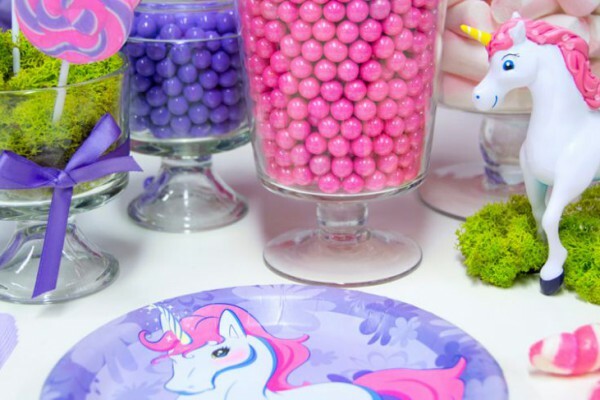 You can even use it as a backdrop for your party table! I set it next to these hay bales for a great photo opportunity. 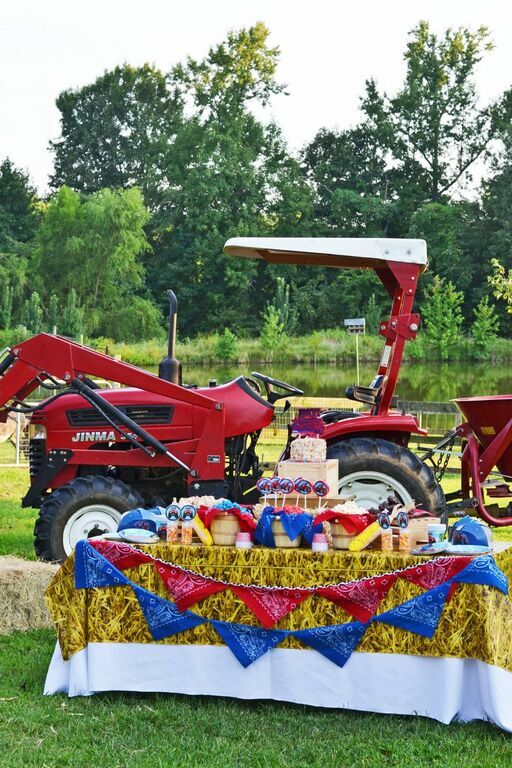 Special thanks to our friends at Bark N Bray Ranch for letting use their big red tractor and their beautiful land for our farm party! 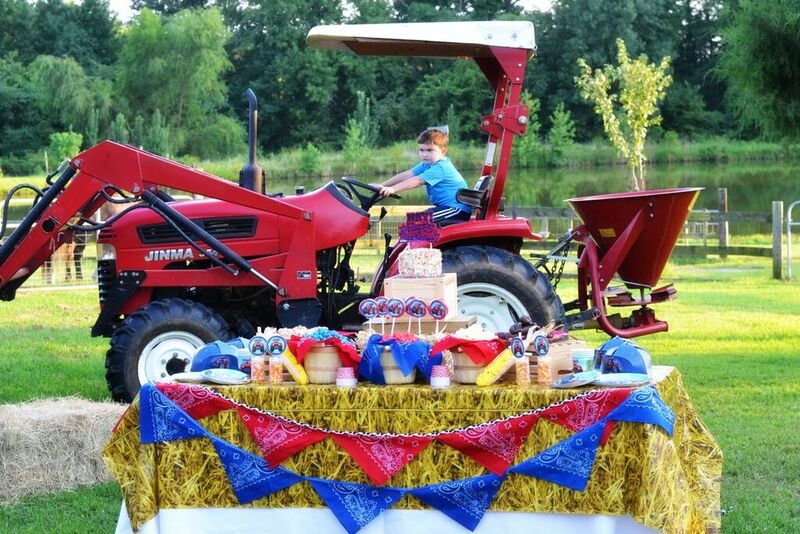 Has Brittany inspired you to design a perfect party for your Future Farmer?